The 20th of November marks the United Nations Universal Children’s Day. On this day we remember that children all over the world have rights. Rights to survive and explore, rights to be safe from abuse and violence and rights to education and to live healthy and fulfilled lives. Article 31 of the United Nations Convention on the Rights of the Child says that every child has the right to engage in play and participate freely in cultural life and the arts. 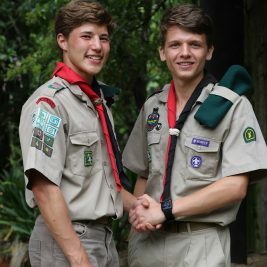 Leah Klemm visited Cubs from the1st Rosebank Cub Pack in the Western Cape and Natasha spoke to Janet Prest-Talbot, a Scouter with 4th Durban in KZN and an expert in the field of play and child development. “As I walked in I was greeted by 18 Cubs who were full of energy and rearing to get started! They were very open and excited about being at their Cub Meeting,” explains Leah. “Akela, Gavin Tucker called them together and played their favourite game called “The White Glove”. It is an outdoor game based on a real story from Scouting founder Lord Baden-Powell. The man was an officer in the British Army. One day, the men of his patrol returned from a spy mission unsuccessfully. They had not been able to sneak unnoticed into the camp of their enemy. That night B-P found a way through the grass and penetrated into the opponent’s area where he explored important details. As proof that he had really been in the enemy’s camp he hid his while glove there in the bush. The Cubs need to carry their white glove and the first to leave it at a flag wins. Whilst enjoying this game the Cubs learnt how to play a tactical game, work as a team and run and have fun all at the same time!” she recounts. This is exactly what Janet Prest-Talbot highlights when asked about the benefits of playing for children . “When I talk about play I like to refer to my “Hi Five of Play”, she explains. “The first H is the holistic effect of playing. Children and teens have a lot of work for school, they need to achieve in sports or other extracurricular activities and they are dealing with new emotions and growing up. Given the chance to play they get to release and let go and just be. The second H is Health which implies physical activities. Something that in Scouting we know all about as Cubs and Scouts get to hike and run and move around in the outdoors. Being able to play creates a sense of Happiness which is the 3rd H. It brings joy, laughter and relaxation. Healing is the next H. In today’s society many children face hardships, depression and anxiety on a daily basis. Being able to play offers them peace and a release for their emotions. Playing often has a very healing effect. Lastly, playing enhances social harmony. What better place to learn how to socialise, how to handle personal boundaries, conflict and team work then with friends in Scouting during a game? By being taught these skills through fun activities at a young age we are equipping our members with tools to help them handle social interactions and situations when they are older,” explains Janet. When Leah asked Jonny why he loved playing games his reply and that of his friends was clear” Being outside, getting the fresh air and exploring the world of nature is what Cubbing means to us. 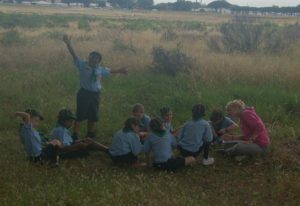 We have learnt how to make a fire, basic survival skills and what you have to do when you get hurt. Games like ‘the white glove’ or ‘the chain game’ help me to improve my skills like for example teamwork” he said. 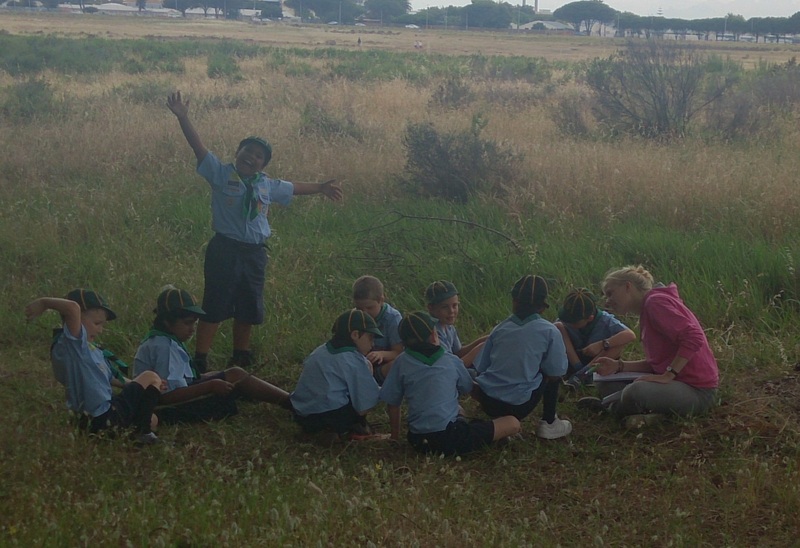 Kai agreed and added “I loved our Kontiki camp which took place earlier this year. We woke up very early, we hiked, swam in the pool and also chased the baboons away!” he said excitedly. After spending time at the Cub Meeting it was clear to Leah “These Cubs encourage each other by playing games and sharing experiences like camps. That is what makes them come back every week. I could see how much fun the kids had while playing and was reminded of the very important Scouting method “Learning by doing”. For more games see the Cubs Games Module.